Thank you! Very pretty - enjoy all your cuts and work that you design! Thanks! Lovely seasonal greeting, will be well used. Thank you. This is a beautiful file, as delicate as a die! Thank you so much for sharing! 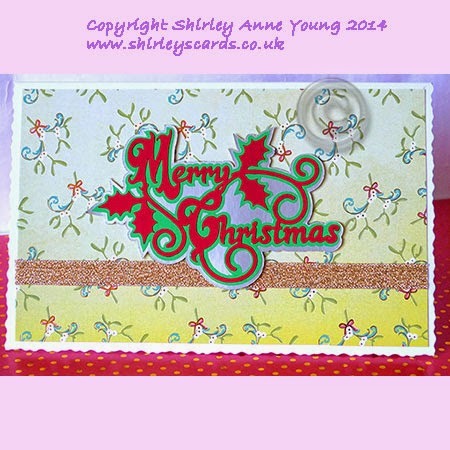 FABULOUS, you have saved me so much time, I have been trying to do something on these lines, but couldn't get it together, love how you have done this, thank you so much Shirley. Thanks for the lovely topper! As always, a beautiful file. thank you very much for this lovely freebie - it will be put to good use! Wow! Thank you for the topper it will be so nice to have a quick easy topper for a card for some special people. Shirley, thank you for the freebie! What a fun simple card. I am a new visitor to your blog, going to check it out now, looks like fun! Shirley to the rescue again !!! Thank you sooooo much. Just came at the perfect time. Thanks so much for sharing with us your file, I already making my xmas projects so I´m going to try it wright now. Thank you very much for this cute topper and the other files you share. Your work is beautiful, thanks for sharing. 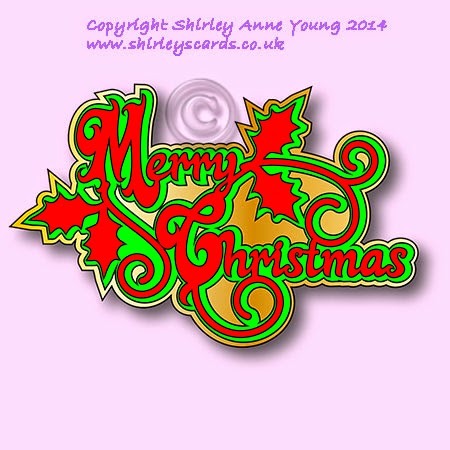 Very lovely, thank you so much, Shirley! Just found your site from Pinterest...thank you so much for sharing your talent with us.